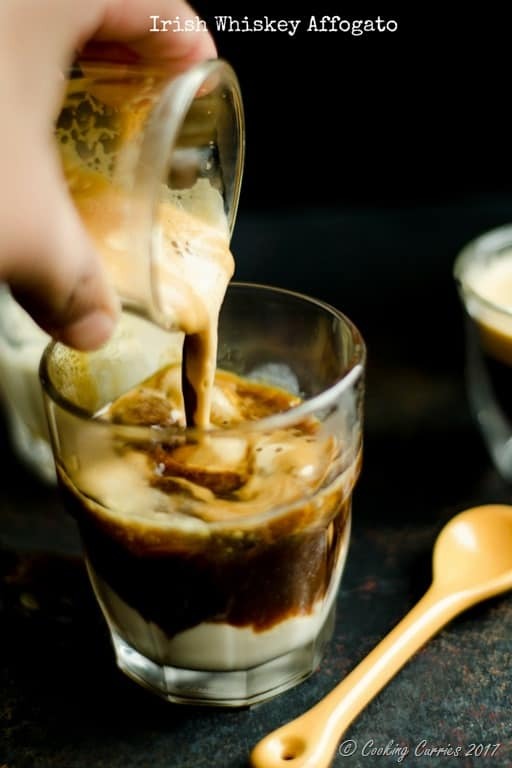 A dessert and coffee and drink combined, this Irish Whiskey Affogato is always a favorite whether it is St Patrick’s Day or not! Disclaimer:This post contains some affiliate links which will give me a commission if you click through it and buy at no extra cost to you. This helps me run Cooking Curries and brings all these deliciousness your way! 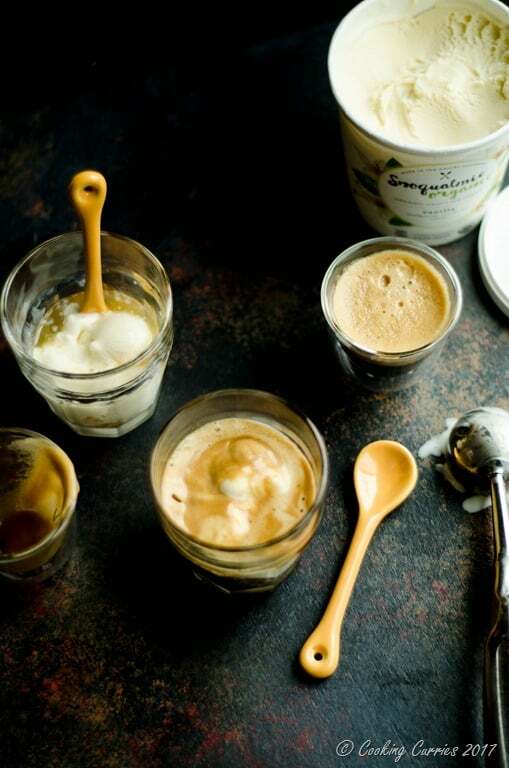 Affogato is one of the best things ever invented. It has my favorite two things – espresso and ice cream. The hot espresso poured over the mound of cold vanilla ice cream that melts it ever so slowly and quickly at the same time. Every sip of it is a sweet sweet latte of sorts, only better, because you know it is ice cream and not just steamed milk. I made it a little special this time for St Patrick’s Day with a shot of Irish Whiskey added for an extra kick. At first I thought of using Bailey’s Irish Cream but I didn’t want to make it all too milky and sweet, what with the ice cream in it already. I wanted to espresso to shine a little too. But to my dismay, I realized I didn’t have any Irish Whiskey on hand. AH! What do I do now? This is at 1 am, that I am raiding our liquor cabinet in the basement to see what I have to make this the next day. Time to pull out my phone and my trusty Amazon Prime Now App to look for some Irish Whiskey to order. I did and bam! the next morning, I had some at my doorstep. Such is the awesomeness of Amazon Prime! You wont believe the things we order through it! Do you shop often on Amazon with Prime? If you don’t yet have a Prime Membership, then what are you waiting for? Here is a link to sign up for a free 30 day trial. Trust me, you will be hooked. 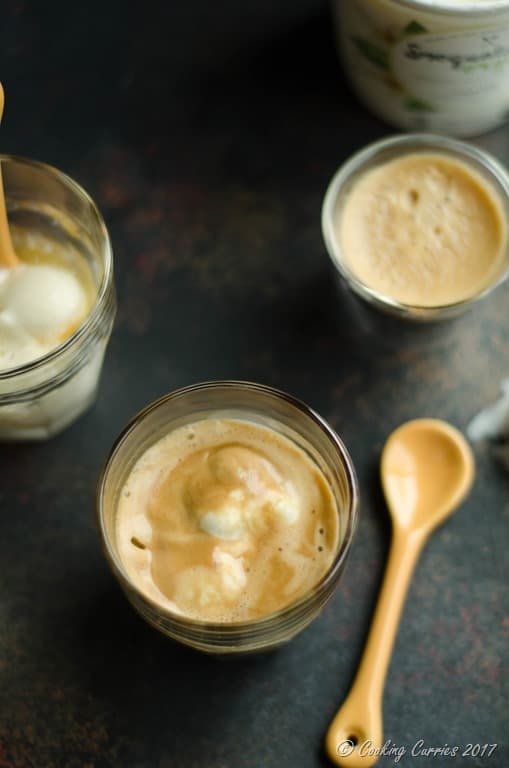 I also had some delicious local ice cream from Snoqualmie Ice Creams and I couldn’t think of anything better to go in my Irish Whiskey Affogato. That is the Jameson Irish Whiskey I bought through my Amazon Prime account at midnight! Sorry about this photo heavy post. 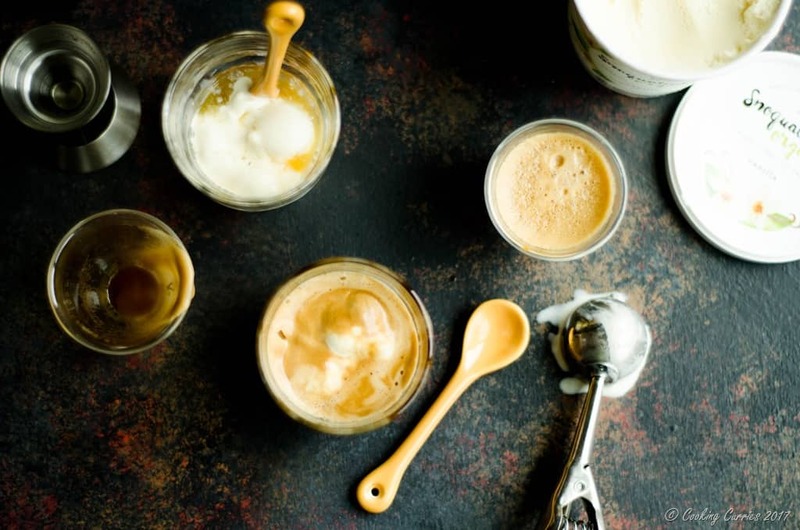 I had such a fun time creating this post ( read – drinking all those affogatos I made!) that I just couldn’t choose just a few pictures. I hope you enjoy seeing them as much as I enjoyed shooting them. 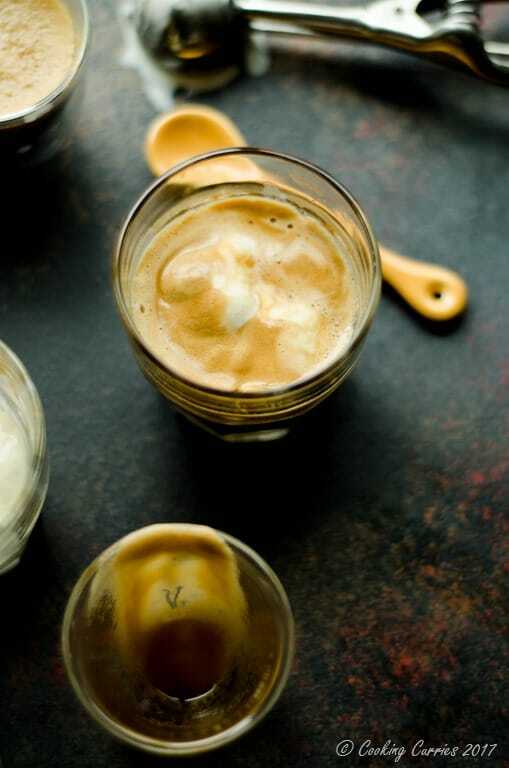 And enjoy the Irish Whiskey Affogato as well. Cheers! For one of the affogatos, I just put the glass with ice cream and whiskey in it under my trusty Nespresso and poured a shot directly over it! Scoop out the ice cream on to serving glasses. Pour the whiskey shot over it. 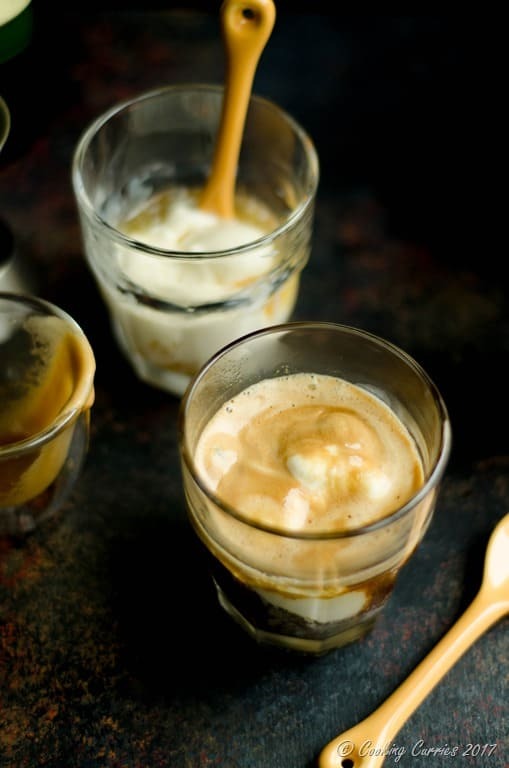 Pour the hot shot of espresso over the ice cream and enjoy immediately. I had this once in a restaurant, cannot remember where but not too long ago. I loved it. So happy to come across your recipe on how to make it. Will pin for later. Oh this sounds absolutely delicious! 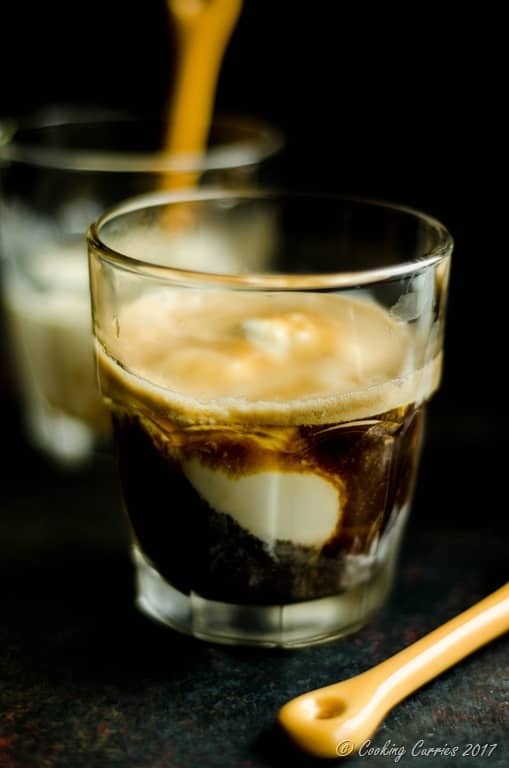 What could be better than coffee and ice cream….whiskey, coffee and ice cream! Love it. Yes! You said it, girl!! 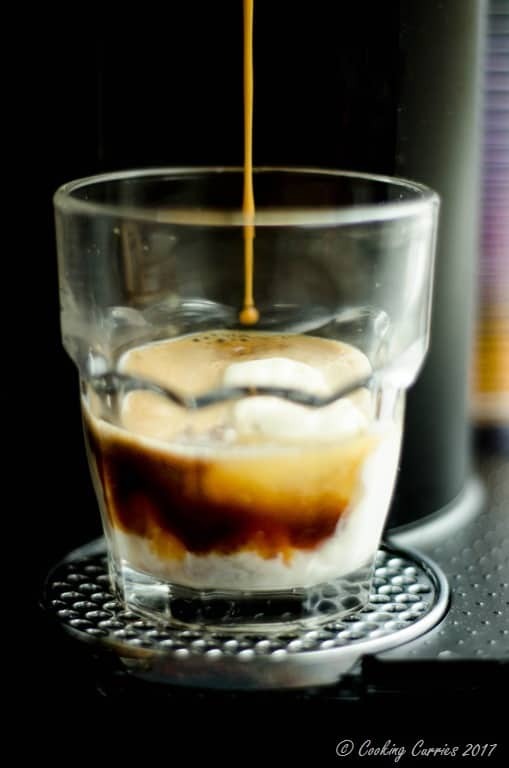 I always love the look and sound of an Affogato but I find espresso coffee just too strong so have never tried it. I now feel a great desire to try it at home, taking your lead and adding a touch of whisky to the equation. Thanks for the push. Haha!! Always happy to push someone for a little bit more goodness in their life ? What a great after dinner dessert. 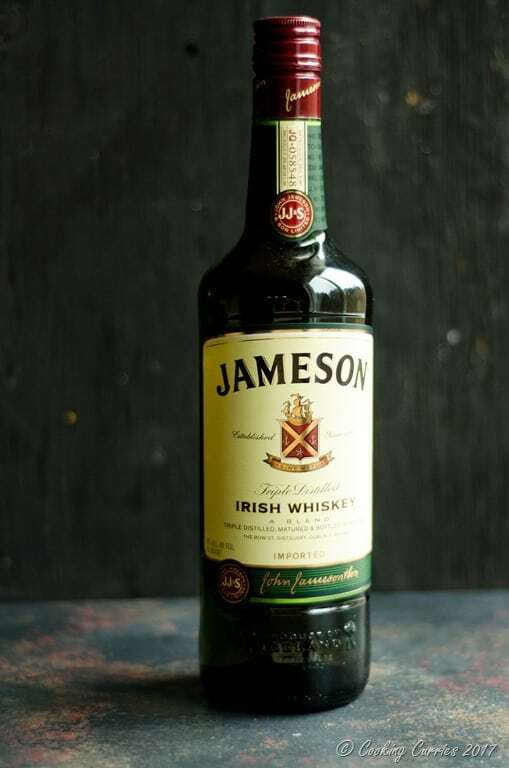 Jameson’s is the classic Irish Whiskey too. I’m not a whiskey fan but I’ll take the ice cream and espresso, please!